Dion Jergo is a personal trainer in Loudoun County, Va.
“While most soldiers were glad to be done with Basic Training, I cried (real tears) on the last day of basic training because I would miss the exercises the Drill Instructors put us through. After serving in the military I moved to Virginia and started working out at the local gymnasium while being employed as a Customer Service Manager at a local supermarket. I soon realized that I wanted to be more involved with the fitness lifestyle, and I loved helping people realize their fitness potential and goals. I became a fitness trainer and soon a Certified Fitness Trainer (CFT), Specialist in Performance Nutrition (SPN), and Specialist in Exercise Therapy (SET) with the International Sports Sciences Association (ISSA) to learn more about the value of fitness to the exercise enthusiast beyond the boundaries of the workout. I was awarded ELITE TRAINER status in 2013. I can only say wonderful things about Dion. When I started training with him, I had just ended 8 months of Chemotherapy and was not in very good shape. In the six months that I have been trained by Dion, my health has changed dramatically. He is a man of integrity; he is kind, and a fantastic trainer. I believe it would be a win-win to have Dion as your trainer. 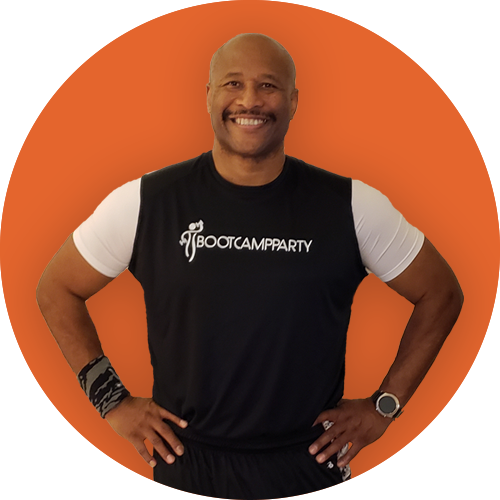 When I first started going to Dion’s Boot Camp I thought that I could do these exercises with no problem. Boy was I surprised! I would often not be able to finish the exercise or when it was over I would be totally exhausted. This past September marks the one year anniversary from when I started working out with Dion at his Boot Camp; to date I have lost approximately 60 lbs through an improved diet along with Dion’s motivation and exercise routine, but most importantly my body shape is at a level that I could never have dreamed of. At 45 years old I am in the best shape of my life!